KPIs translate your business strategy into manageable, operational actions, based on the data you collect and monitor. They are an important component of the information needed to understand a company’s progress. However, many businesses aren’t leveraging the power that comes from understanding their data. This training program presents a rigorous KPI Measurement Framework that embeds 10 years of research in the field of key performance indicators and relies on best practices identified in the real business environment. Professionals interested in Measuring Performance: Professionals from different fields, such as Finance, Human Resources, Production, Logistics, Information Technology and others, interested in key performance indicators, will acquire the competencies needed to measure the performance of their team, department, or organization. Top/Middle/Lower Management Professionals: Executives or operational managers, regardless of their field of expertise, will gain the ability and knowledge to measure performance and maximize the value of using KPIs. 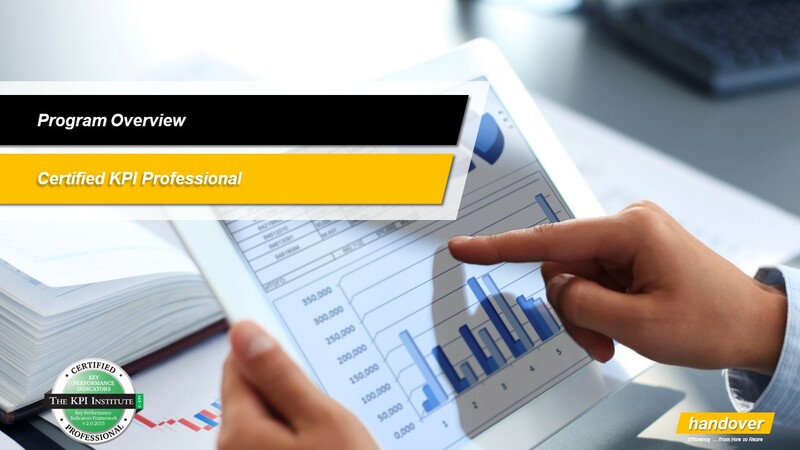 The tools and resources offered as part of the Certified KPI Professional program enable managers to apply the concepts learned within their organizations, immediately after the course. Performance Measurement Experts and Consultants: For professionals like Data Analysts, Strategy Managers/Consultants, Performance Management Officers or Performance Architects, it is important to develop competencies in measuring performance, especially in terms of KPI selection and data gathering. Usually, this particular audience already has a performance measurement system set in place and the Course offers them the opportunity to learn the best practices used in this field and identify how their current processes and approaches regarding KPIs can be improved. You can find all the details about the Certified KPI Professional program in this Brochure Document. 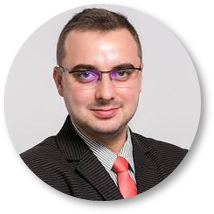 This program will be delivered by Alin Sonda. You can find an overview of her profile in this document Alin Sonda. The program will take place from 22 to 24 April 2019 in Amman, Jordan (Bristol Hotel). 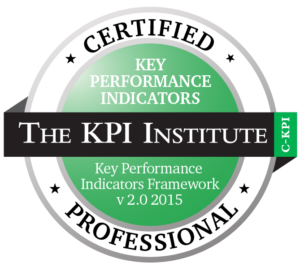 Free access to a number of online resources from The KPI Institute. To register for the program, please complete the Registration Form and email it to enquire@handover.consulting. The deadline for accepting registrations is 17 April 2019.